Symbolism is very popular in writing and in tattoos. 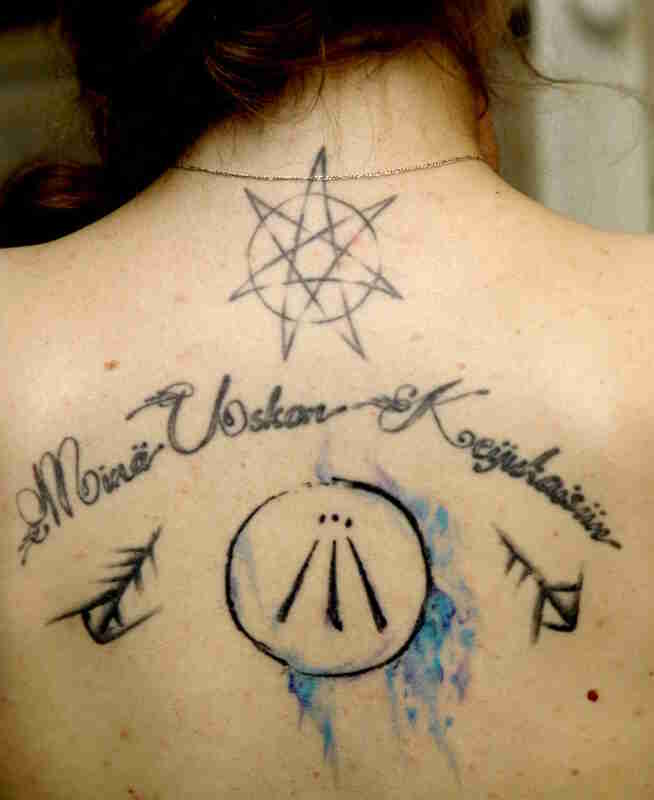 I found two authors who had symbols tattooed on their skin that offer motivation, inspiration and all those cool things. 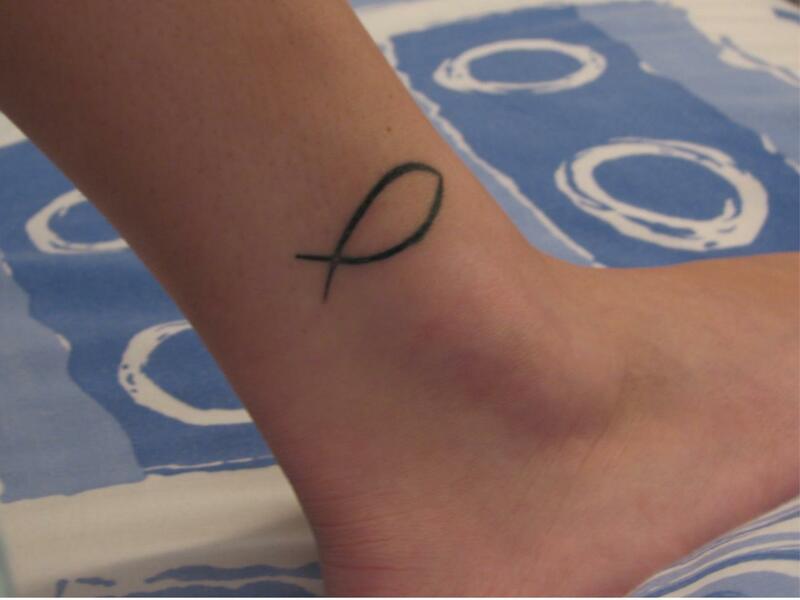 The tattoo on my ankle is the outline of a fish, or ichthys in Greek. The actual Greek word has five letters. These five letters are the same as the first letters of the words Jesus Christ God’s Son Saviour. I think it’s pretty cool that one little symbol can have so much meaning. My newest tattoo and first one with colour is of the Druidic symbol known as the awen which means poetic inspiration and is strongly associated with the idea of a muse or that seemingly extrinsic power that fuels our creativity. I like the messy hand-drawn style of my tattoos and never want anything to look too clean or precise, but more like a doodle and spilled ink. Do you like symbolism in your books? Previous Constricted by Becca J. Campbell – Release Day Blitz!!! Rachel, that’s a simple but meaningful tattoo.